In certain quarters of New Delhi, at least among those who are engaged in the bilateral dialogue between India and Canada, a curious question may have arisen lately: Who knew helmets could be so dangerous? That reference is to motorcycle helmets. The Canadian province of British Columbia offers an exemption from wearing helmets to a person “who practises the Sikh religion” and “has unshorn hair and habitually wears a turban composed of five or more square metres of cloth”. That facility, though, is not provided in the province of Ontario, agitating Sikhs, bikers or otherwise. Ontario’s premier, Kathleen Wynne, isn’t willing to concede ground but, with elections due in another year, the community required some pandering to. 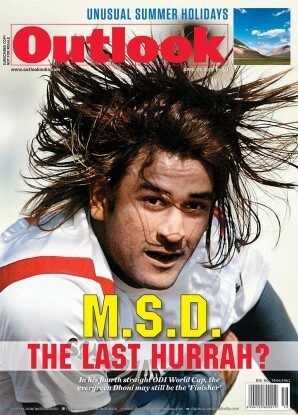 That marked this as a spring of discontent for India. 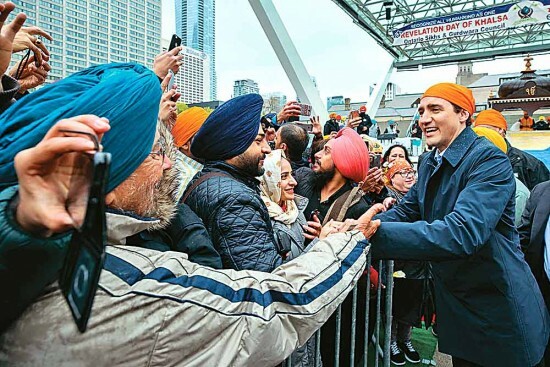 At the end of the month, Canadian Prime Minister Justin Trudeau appeared at a Khalsa Day celebration at Toronto’s Nathan Philips Square; the first sitting PM to attend the annual event since 2004. While that seemed innocuous on the surface and part of Trudeau’s shtick of signalling the virtues of diversity, that event routinely features a parade with floats honouring the likes of Jarnail Singh Bhindranwale and Khalistani flags. Its 2017 iteration was no different. Of course, by April 2017, Wynne was getting seriously singed politically. As the polling firm Angus Reid Institute noted on March 24, “...the provincial Liberal leader now holds the endorsement of just 12 per cent of people in her province”. Not just the event and the parliament motion, the sole person jailed for the Kanishka bombing, Inderjit Singh Reyat, was released this February. At the other end of the spectrum, Jagmeet Singh’s fortunes are northward bound. He announced he will contest for the leadership of the national NDP this Monday. Singh has the distinction, obviously dubious, of being perhaps the sole elected representative from a Western democracy to have been denied a visa to travel to India. The Indian Consulate in Toronto had turned down that request in December 2013. Speaking during the Ontario Assembly motion this April, Singh showed that still rankled, as he fulminated: “This is a country that continues to use visa denial as a form of silencing its critics.” He leveraged that platform to attack the Indian state and PM Narendra Modi, at one point even accusing the government of charging actor Aamir Khan with sedition. This trifecta of troubling developments has, to understate it, created potholes in the path of progress of bilateral ties between Canada and India. Modi became the first Indian PM since 1973 to make an official visit to Canada just two years back. Meanwhile, Trudeau’s cabinet colleagues have been furiously racking up frequent flier miles to India. The Canadian High Commission in New Delhi crowed in late March that those visits were “the seventh in the last eight months by a cabinet minister of...Justin Trudeau’s government, a reflection of the importance of Canada’s relationship with India”. The eighth happened to be Canadian Minister of National Defence Harjit Sajjan’s 10-day trip, which was mired in the muck of the Ontario Assembly motion, with Punjab chief minister Amarinder Singh’s alleging that Sajjan had “Khalistani sympathies”. That resulted in some testiness when Sajjan met Arun Jaitley in his capacity as Defence Minister in New Delhi. India’s irritation could only have been aggravated by Trudeau’s presence at the Toronto nagar kirtan. Vishnu Prakash, India’s High Commissioner in Ottawa till last October, was perturbed: “I do find it disappointing that politicians of all hues are not averse to ignoring the extremist outlook in pursuit of votes. They are present at platforms where extremists are feted, eulogised.” This, he said, “does rankle” and is “something which cannot be ignored” despite the importance of India-Canada ties. Further frustrating to India is that these occurrences evolved even after months of groundwork to pacify a section of Canada’s pro-Khalistani elements. India initiated a menu of measures: Pruning of a blacklist, giving visas to some who were earlier on a prohibited list or had arrived in Canada as refugees, back-channel talks with some Canadian Khalistanis, while diplomats made forays into gurdwaras once considered bastions of separatism. Those efforts have been undermined by local political compulsions. As one diplomat said wearily, “We will have to start all of the work again”. Cultivating the vociferous bri­gade also comes at a time when the Khalistan movement in Canada appeared to be heading towards a natural demise. Support for separatists has dwindled. For instance, at the Toronto Khalsa Day, there were fewer than two dozen of that ilk, though they made their presence prominent. That position has eerie echoes of how Canadian officials dealt with Khalistanis in the mid-1980s. In his memoir Journey After Midnight: India, Canada and the Road Beyond, published last summer, Ujjal Dosanjh, former premier of British Columbia, writes: “The silence of Canadian politicians was pure platinum for the radical fanatics in securing the silence of those who disagreed.” That attitude led to the bombing of Air India Flight 182, the Kanishka, which claimed 329 lives. The 32nd anniversary of that terrorist incident is just over a month away. While the spectre of terrorist violence emanating from Canada has diminished, Khalistani sentiments are still fuelled by indulgent politics. It was perhaps a portent of how the year would unfold when the only person jailed in Canada over the Kanishka bombing, Inderjit Singh Reyat, convicted on perjury charges, was released this February and returned to his family’s residence in British Columbia.